New generation NII technology « What Happened to the Portcullis? 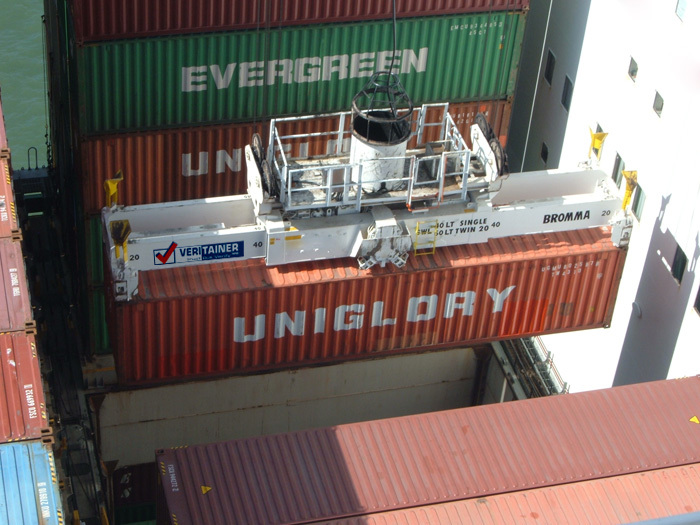 VeriTainer’s container crane mounted radiation detection and identification system, called the VeriSpreader®, employs advanced passive scanning technology and sophisticated identification algorithms to detect and identify gamma and neutron sources in shipping containers as they are loaded or discharged from a container ship. The prototype crane mounted solution (CMS) was in continuous operation at the Port of Oakland from April 2, 2007 through May, 2008 (13 months). It operated without mechanical failure or loss of sensitivity over the course of more than 47,000 container moves. The VeriSpreader® consists of a spreader bar (or hoist attachment) of a container crane assembly, radiation detection devices and a computer capable of wired or wireless communication. The system captures and analyzes gamma-ray counts and energy spectra as well as neutron counts from the detectors in real-time as the containers are loaded to or unloaded from container ships. Its primary purpose is to identify gamma sources that may be present in the container and alert the user to elevated gamma and neutron rates. ly improve the image analysts lot, but to provide a measure of accuracy in virtually determining the composition of contents of a seal container. In 2005, Australian Customs Service in conjunction with CSIRO implemented a prototype scanner designed for aircargo image analysis. The scanner uses a combination of neutron and gamma ray scanning methods to provide a clearer picture of the contents of a ULD (unit load device – aircargo container) than can be achieved by x-ray alone. The scanner utilises a 14 MeV deuterium-tritium (DT) generator and a cobalt-60 gamma-ray source. Comparative tests against two commercial X-ray scanners in Brisbane on a range of cargo showed that, with improved spatial resolution (5 mm detectors or smaller) and multiview capability, the CSIRO/ACS Air Cargo Scanner has the potential to significantly outperform the current best commercial X-ray air cargo scanners. The scanner forms 2-dimensional projection images showing both density (strictly, mass per unit area) and composition. It works by measuring the attenuation, through the object to be imaged, of beams of fast neutrons and gamma-rays or X-rays from the radiation sources to an array of detectors. material composition) abilities of the technology are demonstrated in the two images below. The image (below, right)depicts a typical scan emitted by a gamma ray scan. 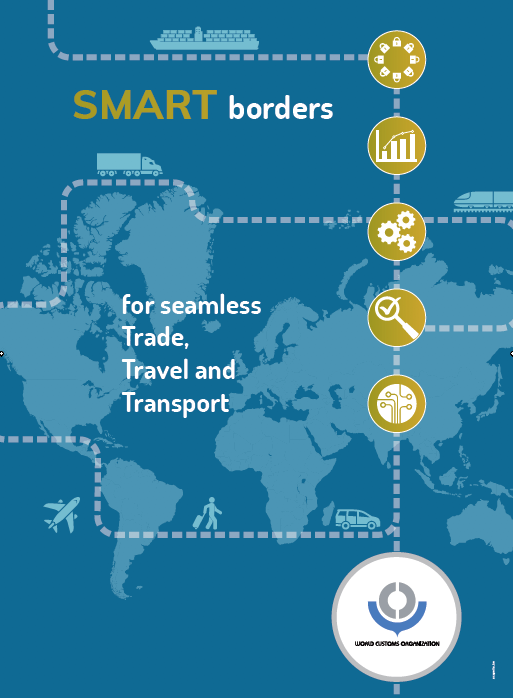 Most customs officers involved in image analysis will be familiar with this type of image. The second image reveals the same gamma image with neutron analysis. The image is colour-coded to provide the image analyst a clear delineation of between organic and radioactive materials through the display of ‘hotspots’. This creates an improved environment of awareness to the operator, eliminating a certain amount of guesswork. 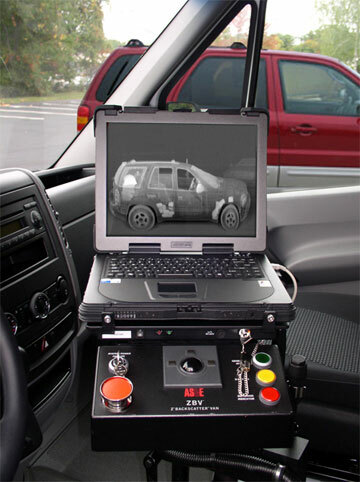 Enforcement agencies are buying and deploying mobile X-ray vans that can see into the interior of vehicles around them; the Z Backscatter Van (ZBV), manufactured by American Science and Engineering (AS&E), can be used to detect contraband such as car bombs, drugs, and people in hiding; the van looks like a standard delivery van, and it takes less than fifteen seconds to scan passing vehicles; it can be operated remotely from more than 1,500 feet and can be equipped with optional technology to identify radioactivity as well; the vans, which can also see through clothing and into some buildings, are raising privacy concerns as well as questions about health risks — and what might happen if the technology gets into the wrong hands. The ZBVs use Z Backscatter technology to detect materials that contain low atomic numbers. This allows them to detect organic matter that doesn’t show up well in traditional X-ray images — including explosives and plastic weapons — in addition to metal and other materials. The technology also works in such a way that the X-Ray mechanism has no need for a detector on the far side of an object, allowing it to be extremely mobile, versatile, and capable of being into a commercially available van. 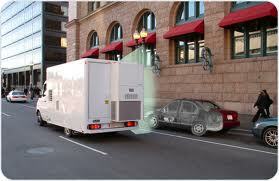 Once equipped, the van — which looks like a standard delivery van — takes less than fifteen seconds to scan a vehicle. It is hard to know exactly who owns ZBVs, because AS&E has never fully disclosed its buyers. “Due to the highly sensitive nature of the markets that our products serve, AS&E respects the individual requests of our customers to be confidential,” the company says on its Web site.